The males of the breed generally weigh 12-16 pounds, but some of the larger boys can hit 20+ pounds easily. 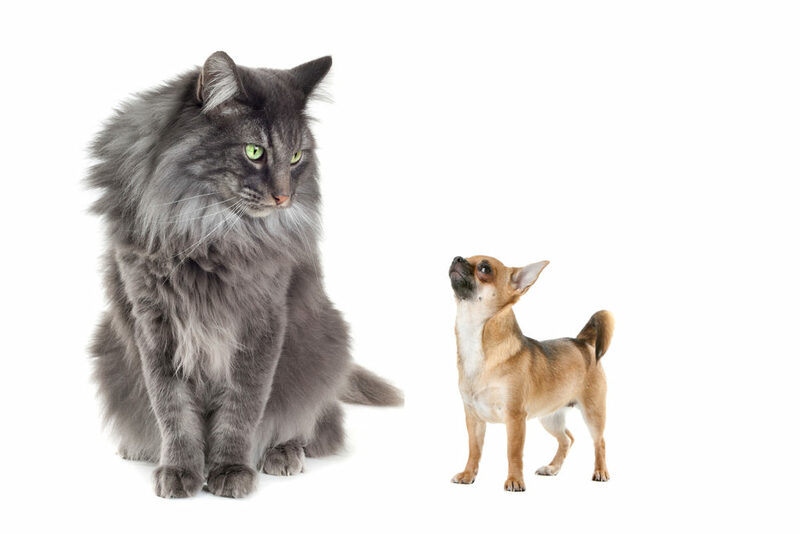 Their muscular bodies, heavy bones and thick coat all add to their size and appearance. The active lifestyle they enjoy helps build weight and mass. The females will be somewhat smaller than males, but are still a very sturdy cat when fully grown. Their weight will usually range from 9-12 pounds. The Norwegian Forest Cat aren’t mature until they are around 5 years of age, giving them plenty of time to grow into a big, strong animal. Don’t let their large size scare you! These big kitties have a wonderful temperament. They make the perfect pet for all ages, including families with children, cat-friendly dogs and the elderly. Wegies are strong and agile cats that love to climb and play, but are also perfectly content sitting nearby and being petted. They are very smart, obedient and also more easily trained than other breeds. 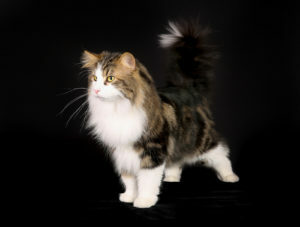 Thinking of Getting a Norwegian Forest Cat? If you are considering adding a Norwegian Forest Cat to your family, you will need to do a little research. The first step is to find a reputable breeder that you can trust. An ethical breeder will ensure that you get the looks, size and temperament that is standard to the breed. This a relatively new breed to the United States, you want someone who is knowledgeable in the history and genetics of their bloodlines. Due to their size, some Wegies may suffer from hip dysplasia. Depending on how bad it is, weight management, medications, or surgery may be required. It is important to have them checked for this genetic disorder around two years of age and definitely before breeding. Your breeder should have a copy of the parent’s hip grades and other genetic conditions, to give you an idea of what to expect.